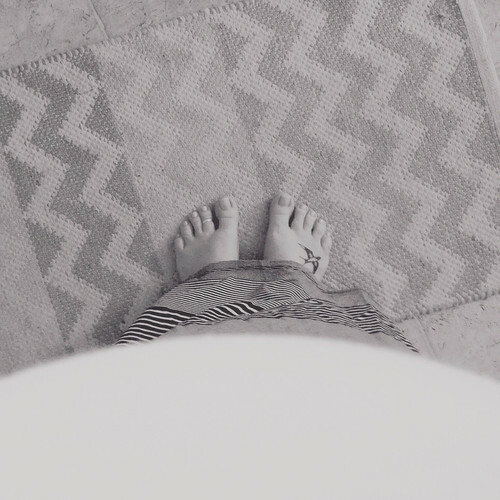 …enjoying the belly-view when I take a peek at my toes these days. The journey to get to this point (although I know it was surely not as long as some) makes me continue to have feelings of almost disbelief. Is this real? Is this actually happening? Am I really this close to being a mama again? …quite happy we have more family visiting this week (this time, from Jay's side!). …grateful our church finally has a Sunday School class for Eisley to attend every week. Our congregation is currently experiencing what seems to be the first baby boom in history (like, 4 babies within the span of a year) and if you attend a small Lutheran church as we do, you know what a huge deal this is. Cue the confetti and fireworks and ridiculously tiny baby socks! …thinking a lot about what I want to do. Now, six months from now, two years from now, and beyond. …still in a decluttering and organizing mood. For some reason, it usually takes me a few individual sweeps through the bigger things (closets, clothes, and my crafting nook, for example) for me to fully purge and clear out what really needs to be gone. Baby steps! …thinking a lot about my faith and grace and prayer—and what it all means for my life and how I live it. Our parents live in different parts of the country than we do. Asking for babysitting makes me anxious, but we have neighbourhood buddies who are in the same boat. So, for Brad's birthday, we went out and a neighbour couple had a playdate with Eric and their daughter. We will return the favour for them when they are looking to have a date night. Is there anyone around you who you could make this arrangement with? Or anyone at church who might be willing to watch sweet Eisley? Every day I wish it were that easy to make the move without knowing what sort of job Jay would have! He works in a fairly specific industry and has a fairly specific degree, so there are more opportunities here in CA. I am confident that he'd find something in Seattle (since it's a huge city) but making a huge jump like that would be a little scary. I'm up for living off savings for a little while, but he still want to wait out his current job to see what opportunities come along. I mean I would totally babysit for free, but ya know. Other side of the country and everything. I'm with Leanne! Find a friend who has a little family and offer to swap babysitting nights! Or start a babysitting night at church, since you're having a lovely little baby boom :) A couple moms or dads take a turn watching the little ones once a month while the other moms and dads get to have a quiet night to themselves? That sounds like it would work to me! I was going to recommend the same as Leanne. I find I'm doing the same type of decluttering. I can only do small spaces before I begin to lose interest/stamina, but it's helping me declutter quite a bit. The only way we are able to go on dates (ever) is through babysit-swapping with our friends. So one night, I'd go to their house after their kids are in bed and read my book (or binge on Netflix) while they go out... and maybe the next week, one of them would come to our house after our kids are in bed and do the same. It has been AWESOME... no guilt about staying out late since you're doing it for each other, and no doubling the cost of date night paying for a sitter. If you have anyone you feel comfortable enough to do this with, it works out great! Thanks for the encouragement, as always, sweet lady!